The chatbot is becoming a common fixture for companies online. The big question for them is which channel should they install it on? The oft repeated mantra you might hear from a real estate agent if you are buying a house. Forget the number of bedrooms, the size of the garden or if the windows are double glazed; it is all about which plot of land the house is situated on. What is true for your home is also true for the best chatbots. The quality of your knowledge base is crucial. But a close second in importance is the channel you choose for your chatbot. Pick the wrong one and you risk alienating customers who are expecting certain functions from their virtual assistant based on the social media account or website they are using. Within the last couple of years, chatbots have entered the mainstream and are employed in numerous channels – each with their own advantages. Facebook boasts arguably the most populated social media channel for chatbots with more than 100,000 available to talk to its 1.2 billion users. After it emerged that its bots were hitting a failure rate of around 70%, a recent update suggests a move towards concentrating on transactions and performing services rather than sparkling conversation. Facebook bots will be a part of group chats to perform functions such as providing statistics around a sports match or creating a music playlist. Given it will be part of a group chat, the expectation around its conversational features will be low as it is simply performing an almost secretarial service. In addition, functions such as Smart Replies will allow you to perform actions like viewing business hours or booking a restaurant table without leaving the chat window. These features all point toward Facebook bots designed to serve rather than interact with the customer. Twitter appears to be trying a different approach with their bots, aiming to provide a medium for companies to interact with their customers to offer an experience which is fun, rather than transactional. For example, the company’s Direct Message Card aims to draw consumers into testing out their chatbots by playing games or taking part in trivia. One example is the Bot-Tender which asks you a series of questions to help select your favorite cocktail, giving you the option to post the results later. On the same path as Facebook, Skype’s bots are generally utilized in group chats for functional purposes. One example can be found with the Skyscanner bot which can be called into a conversation if one member wants to book some flights. One new addition will be the introduction of voice chat to provide users with an alternative to typing by accessing the Skype calling API. With this in mind, it is possible that their chatbots could become more interactive rather than strictly functional. While other channels are targeting themselves at the general public, chatbots on Slack are used internally by businesses to increase productivity, improve communications or manage tasks. These bots can be divided into two categories: push and pull chatbots. Push bots aim to send you notifications or provide you with the information you need – be it reminders or important news of the day. These will generally be intelligent bots which rely on a foundation of natural language processing (NLP), artificial intelligence (AI) and machine learning. Pull bots are far simpler and perform specific transactions which you initiate yourself. An example of this is the Uber bot for ordering transport. Of course, one potential concern with the other channels is that you are not in control of your platform. Within your website, you are able to dictate exactly how your chatbot functions, including its purpose, the user interface and experience. 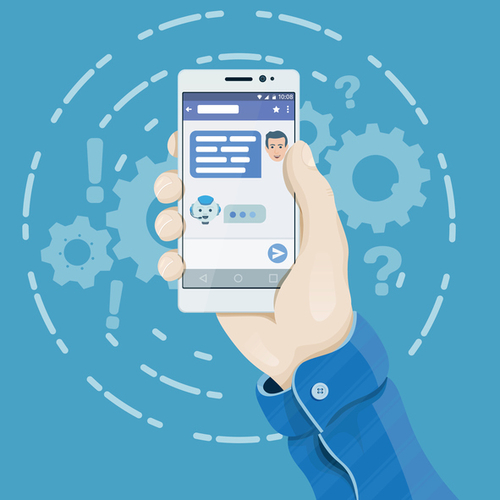 Implementing your chatbot on your own website, of course, means that the customer can engage in conversation without leaving the page. This is valuable for those looking to boost conversion rates and provide an easy way for customers to ask questions. The chatbot window of opportunity is wide open for companies that want to transform their business. To get through this window, the onus is on businesses to recognize what channel will best serve their needs. Inbenta utilizes its patented natural language processing and +11 years of research & development to create interactive chatbots with an industry leading +90% self-service rate. Companies around the world including AMP NZ utilize the InbentaBot to maintain a personal service for their customers while reducing support tickets. Interested in finding out more? Our team of experts is at your service to design a custom proposal for you. Are Chatbots Actually Automating People?